:: File /var/cache/pacman/pkg/dropbox-26.4.24-1-x86_64.pkg.tar.xz is corrupted (invalid or corrupted package (PGP signature)). :: File /var/cache/pacman/pkg/pamac-4.3.5-1-x86_64.pkg.tar.xz is corrupted (invalid or corrupted package (PGP signature)). Has anyone seen this problem recently? I use Antergos on another more recent laptop without any problems. I am not an expert on Linux but can use terminal if I know the correct syntax. Any help would be appreciated. @hughparker1 Take a look at this topic. The thread is long, but most of signature errors were sorted out. I then used pamac (package manager) to update the remaining packages and it completed successfully. I noticed there was a large number of new signatures, so my previous efforts weren’t very successful, although I am not an expert and was just trying to fix the problem any way I could. I was wondering if this happens again, would I just need to run this single command first, and would the previous commands that I ran not be necessary? EDIT: I was also wondering why this happened, the last update I did on this laptop was 11 days ago, is this too long a period to wait to update? I heard you should update frequently to minimise any errors as this is a rolling release. Thanks again @Just and also thanks to @alanaktion for recommending this update to the key. It worked for me. No, it was an exeptional event. It might happen again - nothing lasts forever, - but it happens very seldom. The last time something similar happened almost 2 years ago, 13 August 2015. Yes, it should be enough to simply refresh pacman keys, with the single command. the last update I did on this laptop was 11 days ago, is this too long a period to wait to update? No, it doesn’t depend on upgrades frequency. Many people upgrade once a week. Others monthly or daily. I upgrade immediately when a new upgrade arrives, even several, 3-4 times a day. Once I upgraded an old forgotten Arch after 8 (eight) months of disuse - without any issue. It was a very pleasant surprise for me, and the best example of the excellent Arch’s stability and reliability. I heard you should update frequently to minimise any errors as this is a rolling release. Yes, it’s a very good rule. Upgrade - and backup the / (root) :) ! - as frequently as you can. 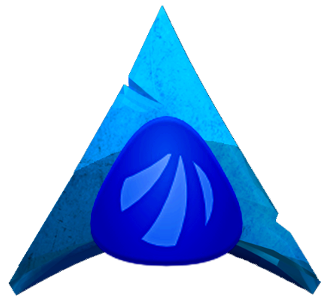 My Arch in Production runs from 2013, Antergos - since 2015 - both without major problems and | or re-installation. I even forgot how to install the native Arch, shame on me. @just Thanks for the excellent response to my questions. This resolved the problem and the updates were successfully installed in just a few seconds. I have previously only used Debian or *buntu distros because I was reluctant to learn a new package manager (I’m 70 years old now) but I haven’t needed to use the terminal very much so I’m glad I made the switch to Arch based Antergos. It is so fast and a pleasure to use. I would like to say I am very impressed with the response from this forum, the help has been first class, I am slowly learning Linux but still consider myself to be a newbie, yet everyone is so helpful. So big thanks @just, keep up the good work. @hughparker1 Thank you very much for your very kind words. The original idea with sudo pacman-key --refresh-keys belongs to @alanaktion. I solved this problem on my Antergoses thanks to him. Terminal is a very good friend in Antergos and Arch. Pacman in terminal doesn’t hide any minimal detail about what’s happening. So it’s relatively easy to figure out what’s going wrong and find a solution. Pacman in terminal doesn’t hide any minimal detail about what’s happening. Shame on me, but I have to admit it! I almost exclusively reverted to using pamac in place of pacman for updates only. I find it easier (lazy bone), to just click on its icon when I m notified of updates and get the work done. Here, too, you can monitor all the process, all possible errors, as well. Pressing the details button, pamac actually becomes a terminal itself.